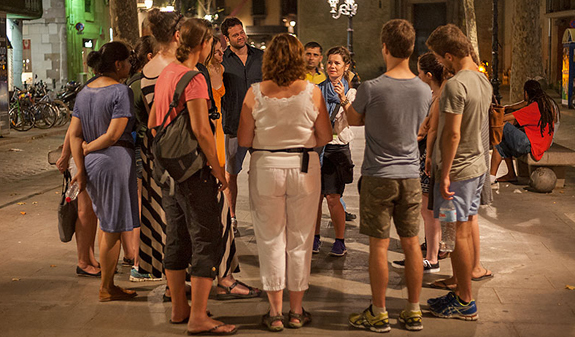 Dare to discover the centuries-old neighbourhoods of the old town, Ciutat Vella. As you explore, an expert guide will recount tales and legends of the Inquisition, strange curses and cemeteries from medieval times to the 19th century, with the aid of a small projector. If you're fascinated about the history of medieval Barcelona, come and explore the small neighbourhoods of Santa Caterina, the ancient Ribera and Sant Pere with our guide. As you wander through the bohemian streets you'll be able to capture the scent of history hidden in each of its stones. Every corner, square or church conceals a legend. You'll visit all the landmarks that have survived the passing of time and the harsh conditions in the medieval districts. As you walk among the shadows you'll find out about the terrible fate that befell the church of Sant Pere or the medieval wall of Portal Nou, where people were hanged and other dreadful executions took place. 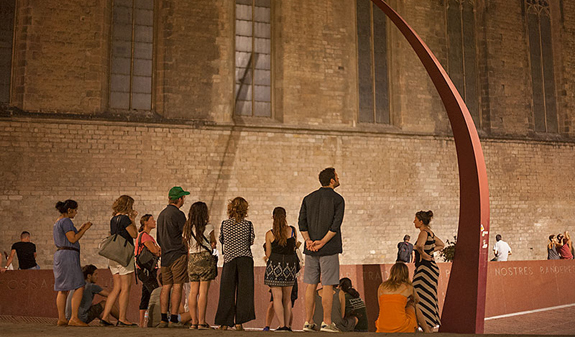 In the old Ribera district you'll see the burial site, the Fossar de les Moreres, where you'll learn about the history of Barcelona's cemeteries. 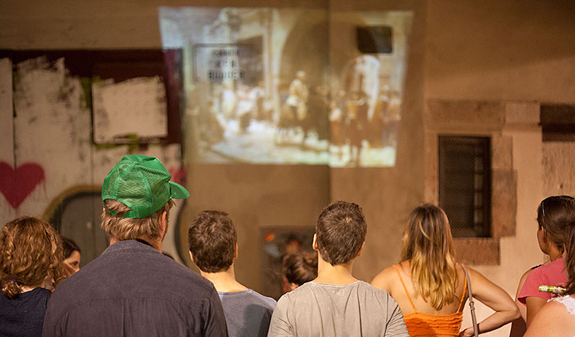 You'll learn about the Inquisition, the auto-da-fé and its tortures and discover the legend of the macabre executioner of Barcelona… and countless other stories Barcelona has in store. 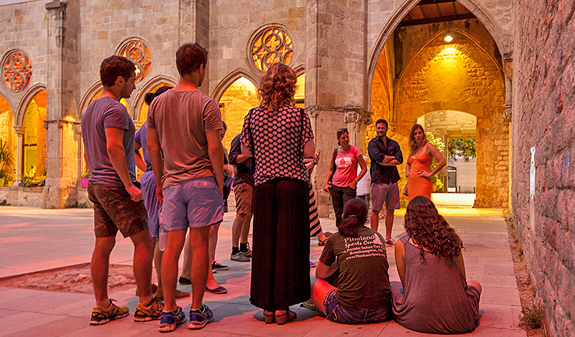 Night-time English guided tour of the neighbourhoods of ancient Barcelona. From 20 to 31st March: Wednesday and Saturdays at 7pm. From the 1st April to the 31st October: Monday, Wednesday, Friday and Saturday at 9pm. 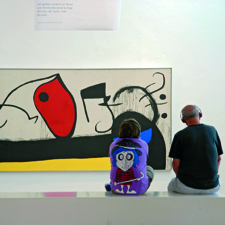 From the 1st November to the 30th November: Monday, Wednesday and Saturday at 7pm. From the 1st to the 28th December: Saturday at 7pm. Closed: from 1/1 to 19/3, 24/12, 25/12, 26/12 and 31/12. 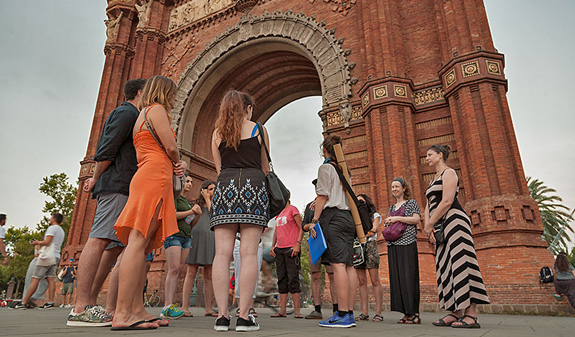 Meeting point: under the Arc de Triomf. Metro: L1, Arc de Triomf. 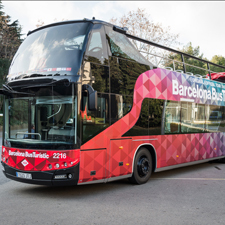 Bus: 39, 40, 42, 51, B20, B25 and H16. Group numbers: 1 to 15 people. The route doesn't deal with hauntings or paranormal events.